So now that you’ve purchased your first firearm for your personal protection, how do you handle home security for your gun? The first thought that comes to mind is to purchase a gun safe. In gun safes come in all sorts of sizes, colors, and construction. It is important to consider all of the following items when preparing to buy your first gun safe. When you stop to consider the reasons to invest in a safe, it comes down to a simple but extremely important issue: the contents you wish to protect are usually some of the most important and valuable items you own. With all the misinformation and advertising hype that is found on the Internet I will try and sort out the most important considerations as you search for a gun safe to fill your needs. The first reason is obviously Gun Safety. Controlling who or who does not have access to your guns is fundamental. Your mind may go to burglars as first and foremost, but think about the other people who not only live but come into your home: children, babysitters, dog watchers, and friends with spare keys, etc. When determining what type of protection you need to try and identify who you’re trying to block access to your firearms from. A glass front gun cabinet offers no protection from burglars who would employ a smash and grab technique to get your guns. Children are less likely to employ this technique to gain access, but that half hour of time spent fiddling with a lock every day before you come home can allow a smart child to try thousands of different attempts on your lock over time. The next reason that comes to mind would be to Protect Your Rights. We all know the message that anti-gun political group’s use that guns are dangerous in anyone’s hands. Guns are a threat to public safety and the only way to eliminate that threat is to eliminate all guns. We all know these groups attempt to characterize law-abiding gun owners is irresponsible at best, and evil at worst. Tragedies and accidents involving guns are exploited by anti-gun groups to push their agendas. Regardless of how rare these incidents are, when guns are involved there will be media coverage. Locking up your guns is a way to protect your Second Amendment rights by demonstrating responsible gun ownership. Does your state have Child Access Prevention Laws? While there is no federal legal requirement today, 27 states and the District of Columbia have requirements that guns be locked up to prevent access to children, in some cases even if you don’t have children. It is important to check your local laws as the penalties for allowing a child to access a gun vary from state to state and you may face criminal liability for negligent storage whether or not the child gains access to your firearm or uses it to cause injury. Remember that you may not have children at home, but from time to time you may have young visitors like grandchildren, guests, maintenance workers and family. Today there are 11 states as well as the District of Columbia that require some sort of Firearm Locking Device as law. Even if there are no children in the home these states require that your guns be locked up with some sort of locking the device at some point between purchase and storage. One state and the District of Columbia require that all firearms are stored with a lock in place. California even has gun safe regulatory standards which must be met for the safe to be considered a California Department of Justice approved firearms safety device. Be sure to check your local laws! Protection from Burglars! What are your guns worth to you? Some of mine could easily be replaced or upgraded, but some are also irreplaceable. Over the years I have collected many antique firearms that could never be replaced. On others I have had some serious gunsmithing performed to in an effort to improve performance and or customize them to fit my hand and shooting style better. How much is that worth to you? Does your insurance cover your guns? Have you read your homeowners insurance (or renters insurance) policy? 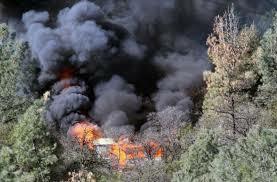 If you carefully read your Insurance Firearms Coverage Limits, you may find not only a very low limit, but many only cover fire damage not theft! With the prices of firearms today it’s not very hard to reach the modest limits given by a standard firearm coverage clause. I was able to purchase a writer to my standard homeowner insurance policy to cover not only my firearms, but also the gadgets and attachments I have added to them in the process of customization. In the case of my antique firearms, the insurance company required that I had those firearms appraised before they would cover them. Once your collection grows to a certain dollar value your insurance company may require you to keep your guns in a certified safe, often with an alarm. You need to find this out before you buy your safe, because the safe certification that your insurance company will require almost definitely will be more than your average “gun safe”. Be a good bookkeeper! Do you have receipts for your gun? Do you have the receipts for your accessories? Do you have receipts for the gunsmithing? If you have none of these records or if they are lost in the case of a house fire, how does your insurance determine the value of what you owned? Check your insurance policy and call your agent for clarification. Possibly some protection from lawyers! I am not anti-lawyer, but I am a realist. A good gun safe may offer some protection in legal circumstances and insurance claim disputes. 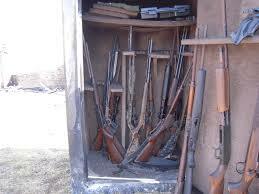 If your guns are stolen, it helps to be able to demonstrate that you took measures to safely and securely store them. I am not a lawyer and this is not intended to be legal advice, but in a legal situation a lawyer looks to assign blame. Your chances in a lawsuit may be lowered or mitigated by owning some sort of gun safe. In about one out of 13 burglaries someone breaks into your home without leaving revealing damage. Most all of these, when the culprit is identified, are from people the homeowner knew. In many states if someone breaks into your home without leaving damage, (broken window, pry marks on a door) police will generally classify it as an unlawful entry rather than a burglary. Unlawful entry is the same classification as if you hadn’t locked it at all. Depending on the laws in your state, the fact that there is no proof you had your guns locked up may come back to haunt you if someone commits a crime with your gun. Your safe may become A Family Heirloom itself. We live in a time when the lifetime of a new smart phone or any electronic device can be measured in months. Precious few things will last long enough that you could pass them on to your kids. We live in a world of disposable devices, but one thing is for sure, the value of your guns will probably outlast you and with your guns your kids will need a place to put them. A quality gun safe from a reputable manufacturer should be here long after you are gone. It is something you can pass on to the next generation. Accessibility! If you have a gun for home protection, you’re aware how important quick access is to do your gun. If you’re keeping your guns in separate cases, each having a different lock, you understand the time lost it having to find the right key for each case. Many manufacturers make small and large gun safes which locks that can be opened in seconds to keep your home protection gun secure until you need it. If you carry a Concealed Weapon, you most likely have another set of legal requirements to deal with in your state. 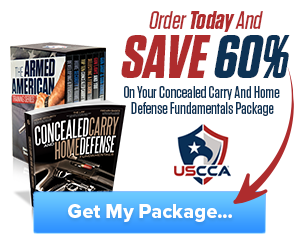 You may or may not also want a place to put your concealed carry gun at the end of each day. When you get to your place of work or a gun free zone, where you put your gun? Different states have varying laws about if, and how, a firearm can be left in a vehicle. Whose property you can park on with a gun in your car, how the gun has to be stored in the vehicle, if it has to be locked up, it must be unloaded, are all concerns when making the decision in whether or not you may need a vehicle or portable gun safe for your car or truck. Again knowing and understanding your states laws are imperative. Tax Deductions and Rebates are offered by a few states if you purchase a gun safe. In New Jersey and Massachusetts, gun safes are exempt from sales tax. A bill is being considered in Congress for a federal tax credit when purchasing a gun safe. In order to qualify for the tax credit the safe may have to have a specific test rating, so check out your states requirements for the type of safe that may qualify. 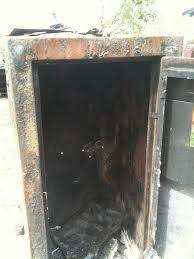 You may be entitled to a tax write off if you keep your tax documents and business papers in a fire rated safe. For instance a gun safe for a FFL would most likely be a right off. Check with your accountant before buying a safe. So now that you have determined the reason why you need a safe let’s move on to some of the things you should look at and consider before buying a safe. The answer is quite simple, one that is at least twice as big as what you think you need! The most common complaint I hear from all of my friends that have bought gun safes is that they did not buy a safe that was big enough. I myself own several, and now am in the market looking to purchase another. I never dreamed when I bought my first shotgun to shoot trap with that I would ever need a gun safe that would hold more than four or five guns at best. At that time a locking case that slid under my bed was the best thought process I could come up with at the time. I liken my collection of firearms to a bad fungus. It all starts with a little spot on your toenail, and before you know it it’s in your bloodstream and throughout your body! Knowing that a gun safe is purchased initially for just that purpose, keeping your guns safe and secure, one will be amazed at how quickly it becomes a secure storage place for your emergency cash, important documents, and items of value. Not All Gun Safes Are Created Equally. Gun safes come in many different styles of shapes and flavors. Some are only thin metal cabinets without fire or burglary protection. So where do you start and choosing your gun safe? First consider construction, thickness of metal and type of locking mechanism, followed by the fire rating. When I grew up gun cabinets were made of wood and glass and would showcase your firearms for everyone to see. In the world we live in now a good quality gun safe to protect your firearms and other valuables is a necessity. Don’t rely on a cheap thin metal cabinet to protect your guns. If you look in the marketplace today, most low and gun cabinets have very thin metal bodies made from 14 to 16 or even as thin as 20gauge steel. And every day hammer a large screwdriver can easily break into a thin metal gun cabinet. 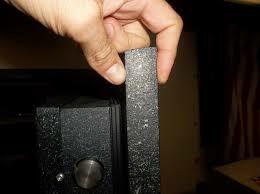 A quality gun safe should use a minimum of 11gauge steel in the body of the safe and preferably 10 to 7gauge steel. Door construction is also very important look for a gun safe with at least ¼ inch of solid plate steel or composite equivalent in the door. More impenetrable gun safes have three eights to half inch thick steel plate in the door. Look for a gun safe with the Underwriter Laboratory burglar rating of an RSC (residential security container). Better quality gun saves have higher ratings, UL TL – 15 (tool resistant) and UL TL-30 ratings. What Type of Fire Rating Is Best? The term fireproof is a very misleading statement and many companies use it to describe their fire safes. They should say “resistant to fire”. The question that you should ask yourself is what do you see yourself potentially storing along with your guns? Paperwork, money, pictures and other delicate or sensitive items? Data and media (photos, CDs/DVDs and computer disks/tapes, etc.) are very sensitive to heat and humidity/moisture and a standard fire resistant safe are not engineered to protect against these things. Fire resistant safes are designed to protect paper and keep the internal temperature of the safe below 350°, which is the critical temperature where paper will start to char and burn. When a safe is exposed to the temperatures of a house fire, normally between 800 to 1200°, the temperature inside the safe will rise. When the temperature rises, somewhere between 120 to 180° any sensitive data or media will be badly damaged or destroyed. Think of a CD on the dashboard of your car on a hot summer day. If you have any special data or media that you need to protect against the fire, a data/media safe is what you should consider purchasing. So what temperature does paper burn? 451°. Fire resistant safes and burglar/fire safes should have a minimum of a one hour fire rating. Typically, a safe with less than one hour fire rating will not provide adequate protection for paper or money in the event of a fire. 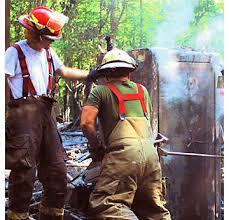 Now knowing the typical temperature at which a house burns,, placement of your safe becomes an important strategy. If you’re safe is close to the starting point of the fire where it would be subjected to higher temperatures for longer periods of time than if it was in a different part of the structure, some thought about its location should be given. The utility room with the furnace, water heater, washer and dryer may not be the best of choices. Your basement may not be the best location either. Although it may be the furthest distance from a fire starting point, where do you think all the water goes from the firemen dousing your home? Typically during a home fire the electric and gas are shut off to the home to protect the firemen and to stop the re-ignition of a fire after it has been put out. This means you may find your basement with 3 feet of water in it after a house fire. One of the most important things to do if you experience a house fire is to immediately gain access to the gun safe and remove all your valuables. What type of lock should I choose for my safe? There are basically two types of locks that are used on safes. A dial type and an electronic lock. Better quality dial and electronic locks are You Well rated and will provide an excellent level of protection. Redundant locks give you the best of both worlds, they consist of a mechanical and electronic lock in one, and so, if one fails the other will allow you to access the safe. I am a proponent of dial locks after having watched a MythBusters episode in which an electronic lock was bypassed with a paperclip! Should I anchor my safe? Anchoring is an important part of making your safe secure. One of the easiest ways for a burglar to break into any safe is to tip it over and lay it on its back enabling them to work on prying the door open. Anchoring it to the floor and or the wall behind it is an important step. Most safes have anchor roles that are fairly simple to use. Some common sense goes a long way in anchoring your safe as “a couple of drywall screws” is not much of a deterrent to your safe being torn off the wall. Most safe manufacturers today include some sort of mounting or anchoring hardware with their products. Even though you have a high quality safe be aware of other ways to protect yourself and your valuables. A quality home or business alarm is also a part of a good deterrent. Loose lips could your valuables stolen! Many burglaries occur because someone in the family tells someone else that they have a safe, or worse what’s in the safe. It might be fun to talk about the shiny new safe you just bought or the cool things you keep in it but when a friend tells a friend of a friend your valuables can be stolen. It’s best not to talk openly about what you are protecting in your safe to just anyone. I know it goes against our “man” sensibilities not to show off our shiny new safe, but in doing so you may inadvertently be sending a message that you don’t mean to send. We all know the saying! The bitterness of poor quality lingers long after a cheap price is forgotten. Don’t buy a cheap safe to store your most prized and valuable possessions in. Over time you will find you are placing your most valuable and important items that you own into the safe that you purchase. Make sure the safe you purchase will serve you in the years to come! Always look for the UL fire rating label that is attached usually to the door of the safe. This rating can be as low as zero minutes of protection when exposed to fire up to many hours of exposure. As you can imagine, the higher the rating, the higher the cost. Many of the entry level to mid-level manufacturers of gun safes obtain their fire ratings through the use of sheet rock as an insulator. Yes, that’s right, drywall! Drywall has a fire rating all of its own that has been known and used in the construction industry for years. 5/8 inch drywall has a 30 minute fire rating, and in our area is required to be used in homes for that fact. Some gun safe manufacturers increase their fire rating times through the use of additional layers of this 5/8 inch drywall. A 30 minute fire rated safe will have one layer of drywall on the inside. A 60 minute fire rated safe will have two, a 90 minute three and so on. 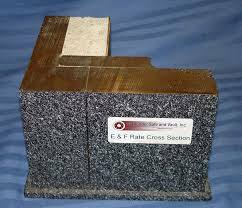 True fire rated safes and/or those with burglary ratings usually use true composite wall construction. A true composite wall construction safe has steel liner welded inside of the safe itself with a 1.5 inch thick gap between the exterior and interior walls, this gap is then filled with an amalgamate cement that not only increases the fire rating, but also increases its burglary rating. A composite safe is more costly to purchase up front, but the level of protection far exceeds one, two or even three layers of drywall as fire protection. 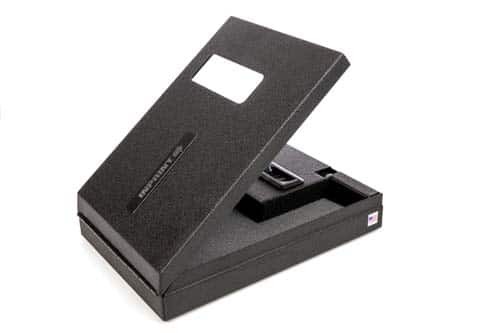 When researching costs of these fire rated gun safes, I was amazed at the price that the manufacturers demanded for adding each layer of drywall to increase the fire rating. Knowing that a 4’ x 8’ sheet of 5/8 inch drywall costs between nine and $10, I was amazed to see an increase of 300 to as much as $600 for each additional layer of the drywall. There are many good manufacturers of low to middle end gun safes in the marketplace today. 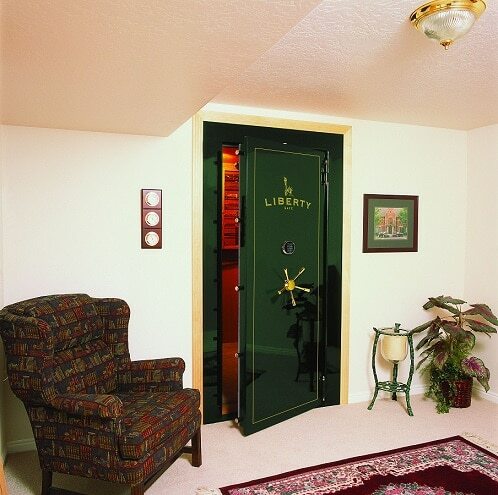 Liberty Safe has many models to choose from that may suit your needs as well as your pocketbook. With gun safes from the mid to high hundreds all the way to many thousands of dollars, Liberty Safe will surely have something to fit your needs and budget. Liberty Safe is an all American made gun safe. Knowing this eliminates the worries over cheap Chinese steel being used in the manufacture of your new gun safe. Graffunder is another American made safe. They make composite type gun safes that are high end in their construction. 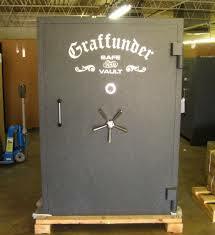 The Company motto is “Quality over Quantity” With some of the toughest and highest rated gun safes in the market, Graffunder is known as the “Rolls Royce” of the industry. Started in 1968 by Ulrich Graffunder in San Francisco, the company flourishes under his same commitment to quality under the Sage Safe Co. LLC name today. Hey Buddy!, I found this information for you: "Home Security for Guns". 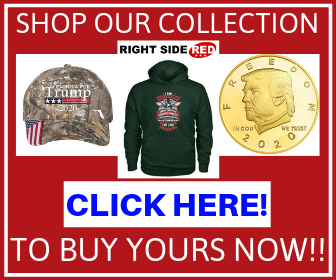 Here is the website link: https://thegunrights.com/home-security-guns/. Thank you.